← Extra, Extra! Read all about the Spring events of the JSL! The Hospitality House is in need of a little hospitality! 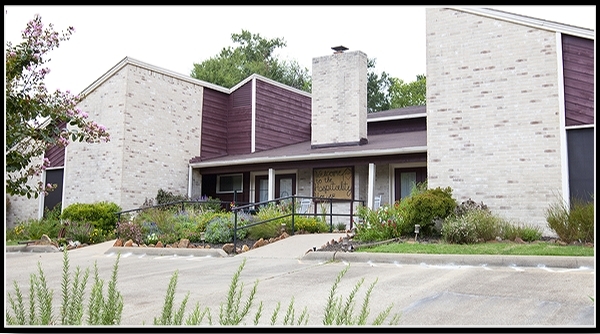 The Hospitality House is in need of some help! The extreme conditions this winter have been rough on the plants on the grounds of the Hospitality House. With Spring in the air, it is time to spruce up their Prayer Garden and flower beds. Some specific plant needs include Lantana, Lemon Balm, Guara, Angelonia, Pint Texas Rock Rose, and more. 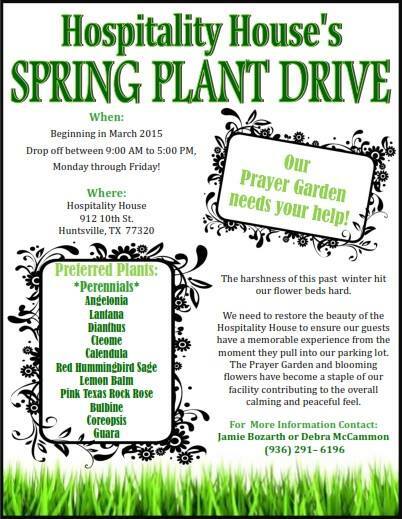 If you would like to contribute to the plant drive, please contact Debra at 936-291-6196. Also, the House is now desperately low on individual canned drinks to provide as an alternative to tea and water during the many meals that take place there each week. The current stock includes only Pepsi and Mountain Dew! If you are at the store today, grab an extra case of Coke, Diet Coke, Sprite or Dr. Pepper and drop them off at 912 10th Street.